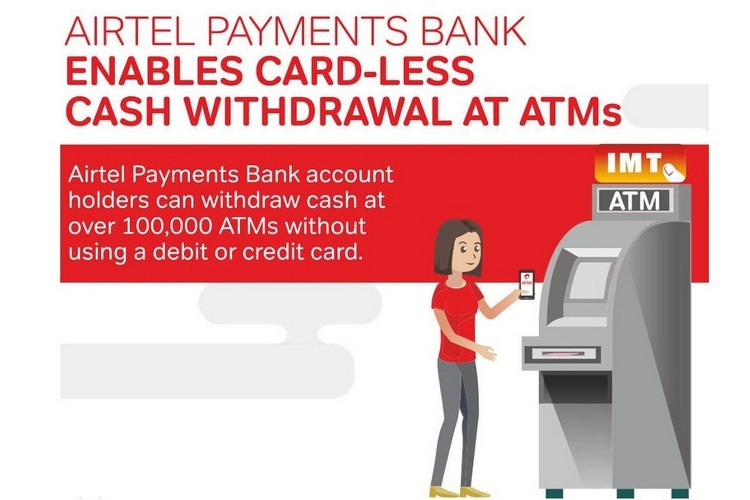 Airtel has announced that customers of its Payments Bank service will now be able to withdraw cash from ATMs without the need for a physical debit or credit card. The company on Thursday said that it has partnered with Empays, a company that describes itself as ‘a global provider of cloud based payment solutions’, to enable Instant Money Transfer (IMT) for its Payments Bank customers. According to a press release, the new technology will enable Airtel Payments Bank customers to withdraw cash at over 100,000 ATMs across the country by using just their phones. The technology can be used for either self-withdrawal or for sending money to an intended recipient for ATM cash withdrawal, said Airtel. The company says it is waiving off the Rs. 25 transaction fee for the first two self-withdrawals as an introductory offer. 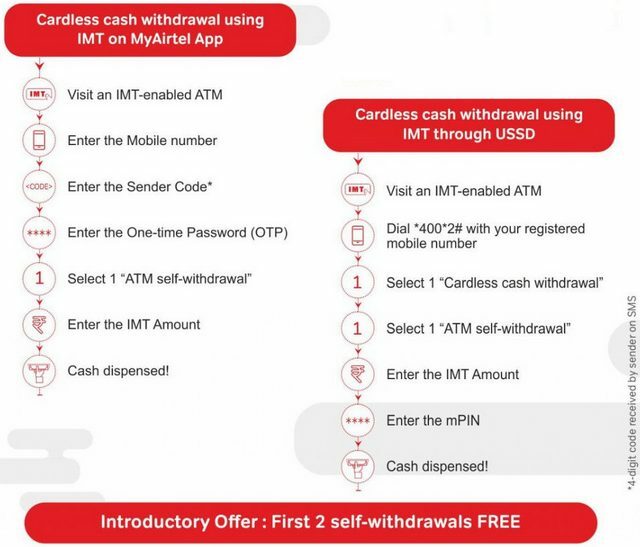 The new service is available to both smartphone and feature phone users through USSD (*400#) and MyAirtel app, which is available for free on both Android and iOS. Some of the largest and most popular banks in the country, including SBI, Axis Bank and PNB, have apparently already signed up to be linked to the IMT system for card-less cash withdrawals. The company also claims that the network, which is licensed by the RBI as a legitimate mode of payment, is the ‘only one of its kind in the country’. In a statement, the MD and Chief Executive Officer of Airtel Payments Bank, Anubrata Biswas, said that the new service is yet another proof that the company is committed towards a Digital India. “We believe in digital India. We are making this a reality by providing innovative digital solutions that enhance banking”, he said. The founder and CEO of Empays, Ravi Rajagopalan, also expressed his satisfaction at the tie-up. According to him, “We are delighted that Airtel Payment Bank has enabled the IMT capability for its customers. IMT is the largest cardless cash ATM network in the world. We believe IMT will provide an additional convenience to Airtel Payment Bank’s consumers”.